That WOW Moment! | The Book on WOW! I just love it when all the pieces of a puzzle come together and create one beautiful and inspirational mosaic. It’s all coming together. With the upcoming launch of my book, and the successful purchase of my new business, I find myself utterly grateful and blessed. 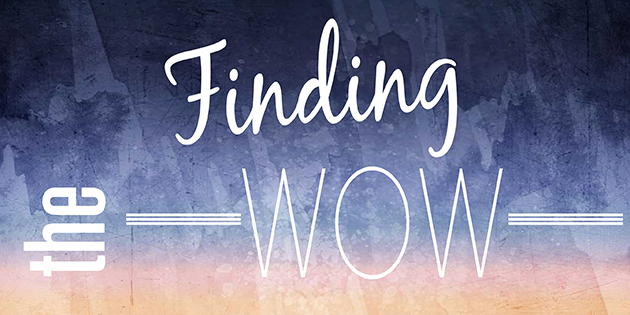 So, I am inspired to share how I start each day now with looking for “WOW”— a “Wondrous Outstanding Worth,” which is the cornerstone of my book. This one principal set the foundation for what I do and how I live and yet somewhere along the way I lost sight of making sure I spend some time each day looking for just that. Don’t get me wrong, I do wake up daily in gratitude, and affirm the amazing life I have and what I am going to create for my new day. This I have done for many years. But then the day seems to get away from me where I lose sight of those few moments where the real WOWs pop up. They pass me by or sometimes go right over my head. That changes today. I am so present and aware of how each WOW showed up. Those simple things and maybe those not so simple. Like the filing of my corporation running without incident or the name of a great super affordable lawyer just popping into my inbox and even the smooth and easy communication from clients. Those partnered with the love I got sent for my daughter while she studies abroad first thing in the morning and her passing the important exam yesterday makes it even more of a WOW day! Then there is the mere fact that even after almost 30 years together, my wife’s still inspired to text and say she misses me. I love this. I am truly humbled by it. So I thought it was important to share that even after all these years of preaching WOW and looking for the bright side, I too can lose sight of how small miracles can show up every day. So here is where I intend to post just that. May your day too, thrive with Wondrous Outstanding Worth!